Hi, I'm Olly, this is my blog to capture my daily adventures in Food. Hünkar Beğendi, which literately translates as “the Sultan liked it.” The main origin of this dish was created for Sultan Murad IV (1612-1640) and obviously he liked it. Another story I’ve heard is that this dish was served for Empress Eugenie, wife of Napoleon III, in Sultan Abdülaziz’s Beylerbeyi Palace in 1869, apparently she liked it so much that Abdülaziz promised her to ask his chef to give Eugenie’s cook the recipe. And the rumor goes that Abdülaziz’s chef was hesitant to share his recipe. Thank you to whoever shared the recipe later on. Now its your turn to share the recipe. Hünkar Beğendi is lamb stew served on a bed of creamy roasted eggplant puree. However, “begendi,” in time, started to be used for eggplant puree. Now you can also find ‘chicken beğendi’ or ‘meatball beğendi. Heat butter in a pot and sautee the onions and garlic for a few minutes. Then add the dice lamb meat. When browned on all sides, add sweet pepper. Stir for a few minutes. Add tomato paste and stir for another couple of minutes. Add tomatoes and cook for 5 minutes. At this point add the hot water and let simmer until meat is tender, approximately an hour. Add more water if needed. Grill aubergine whole without peeling them by holding over a flame and turning slowly, or prick skin in several places and set in hot oven. When the skin begins to break and the inside pulp feels soft, slip off the skin; discard sacs containing seeds and chop up pulp; put pulp in a saucepan. Mix lemon juice with pulp and simmer until very soft, stirring often (10-15 minutes). Meanwhile, melt butter, add flour to it and allow flour to brown. Beat the butter and flour mixture into the eggplant. Slowly add several tablespoons of hot milk and the nutmeg and continue beating until mixture resembles mashed potatoes. Lastly add several tablespoons of grated cheese and cook several minutes more. Our Turkish pop-up will be held every Friday in Jimmy Mizen Foundation cafe in Ladywell Fields. The menu will be rotating every two weeks. We hope to see you very soon. Continue reading for more details. Its a full family affair! – Come down and enjoy a 3 course Turkish meal in Ladywell Fields with a refreshing welcome drink every Friday starting from the 17th April. This dinner is inspired by my roots in Kastamonu, Turkey; and the cuisine of the Black Sea Region – Simple yet tasty dishes. We’ll welcome you with classic Turkish hospitality and exploring our culture and food. Where each and every dish originates from. It’ll feel like you’re coming over for a family meal! We have a great enthusiasm for the Turkish cuisine; our focus is to introduce the variety of traditional Turkish dishes to the community that goes far beyond the well-known greasy kebab. 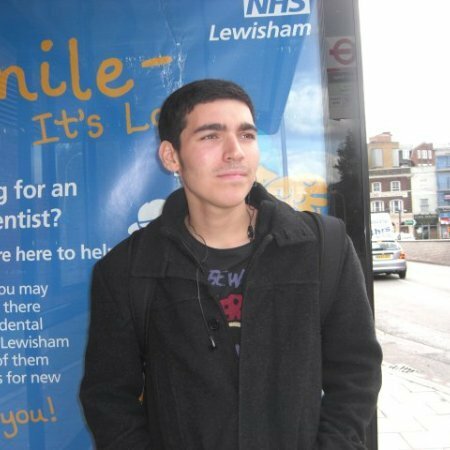 The pop-up will be held at Ten Thousand Hands – a Jimmy Mizen Foundation cafe that aims to build a legacy of peace by creating meaningful, purposeful and real opportunities for young people to be safer. Guests will be seated on cosy communal tables and have the chance to meet new people. This just came to me. Just a short post about Turkish proverbs and how Turks love to use it in every single situation possible. There are hundreds and hundreds of proverbs but I have listed some of my favourite and the proverbs I tend to hear very often. Ne ekersen, onu bicersin – (You harvest what you sow.) To remind a person that one’s own past actions are responsible for the present situation. Bekarlik sultanliktir – (A bachelor feels like a sultan.) Used by bachelors when asked to explain why they are still single. İmam osurursa cemaat sıçar – (If the imam farts, the congregation will poop.) A leader is a model for his people. Any immoral, illegitimate or illegal deed by him will lead to others follow suit in an amplified way. Bir elin nesi var, iki elin sesi var – (It takes two hands to make a sound.) Similar to “it takes two to tango”. Cocugunu dovmeyen, dizini dover – (One who does not slap his children, will slap his knees.) Parents that do not discipline their children early on, will beat themselves later on when they learn the bad things their grown children have done. Bedava sirke baldan tatlidir – (Free vinegar is sweeter than honey.) Used to make a point when someone goes after something just because it is free or very cheap even though they would not normally even want it. If you know any, please feel free to share them with me by commenting below. This is just going to be a quick-list of popular herbs and spices that the Turks tend to use alot in food. Some mentioned will probably be used in other cuisines as well. But the main point of this post is to give you an idea of the main herbs and spices we Turks use in our cooking. Allspice (Yenibahar) – Grown chiefly in Jamaica as well as Mexico and Malaysia, allspice is the dried ripe fruit of the plant Pimento officinalis. It is useful medicinally as an appetite enhancer, and also relieves gas and constipation. In the kitchen, it is used in meat dishes, köfte, and sausages as well as various dolma and sweets. Anise (Anason) – Originating in Egypt, anise is the seed of a fragrant, low-growing member of the celery family (Apiaceae). It is used in baking, the making of rakı, and to help put children to sleep. Arugula, Rocket (Roka) – An herb with leaves resembling those of the radish plant. It is made into salad, and also eaten along with fried or grilled fish. It is frequently used as a garnish as well. Basil (Frenk Fesleğeni) – A tropical plant in the mint family (Lamiaceae) recommended in eggplant and pepper dishes. Bay Leaf (Defne) – The leaves of the Bay Laurel tree, bay leaves are used in various fish, meat, poultry and game dishes, in kebab, and in certain pickles and preserved foods. Black Pepper (Karabiber) – The dried black fruits of black pepper give a fragrance and heat to foods. It may be used in almost any dish, and is one of the most basic ingredients in Turkish cooking. Cardamom (Kakule) – The small, white pod of a tropical plant in the ginger family. It enhances the appetite and relieves stomach upsets. Cinnamon (Tarçın) – A spice obtained from the aromatic bark of a tree native to South and Southeast Asia. It is used both whole and ground, in pastries, cakes and cookies as well as sprinkled on drinks such as boza and salep. Cloves (Karanfil) – The dark colored dried flower buds of this plant are ground to powder, crushed or used whole to add flavor to compotes, syrups, cakes, ice creams and certain stews. Cress (Tere) – The leaves of this plant of the mustard family (Brassicaceae) are mostly used in salads. It has a unique taste, slightly bitter, and is also used as a garnish. Cumin (Kimyon) – Usually used powdered, it is mostly cultivated in Anatolia. In Turkish cuisine it is mostly used in meat dishes, köfte and in the making of sucuk. It eliminates the smell of uncooked meat. Coriander / Cilantro (Kişniş) – In Turkey, coriander is mostly used in syrups and liqueurs, as well as certain meat dishes. Candied coriander seeds are sometimes used in pastries. The leaves and shoots of the plant are chopped and added to soups and salads in some regions. Curly Parsley (Frenk Maydonozu) – A curly-leaved variety of the local (Italian) parsley, it has a lighter aroma. Currants (Kuşüzümü) – Used in pilaf, dolma fillings and certain sweets. Curry Powder (Köri) – A spice blend consisting of cumin, pepper, turmeric, cloves, cardamom, ginger, nutmeg, tamarind and hot red pepper. Dill (Dereotu) – A much-used member of the celery family (Apiaceae), dill aids digestion. It is used in many salads and “olive oil” dishes. Bean Seed (Fasulye Otu) – An herb which adds flavor especially to beans and other legumes. Fennel (Rezene) – An herb with an aroma similar to anise, with leaves resembling those of dill. One variety has a bulb-like swelling at the leaf bases, which is used in cooked dishes and salads. Fenugreek (Çemen Otu) – The hard, brownish-yellow seed of a plant in the pea family, fenugreek is used ground in pickles, soups and meat dishes. Ginger (Zencefil) – The ginger plant has cane-like stems to one meter in height, with oblong pointed leaves and a pungent odor. Its flowers are yellow and born in a single head. The part utilized is the underground rhizome. In Turkey it is used chiefly in its dry form though fresh ginger is now becoming available. It is mostly used in syrups, as a garnish for drinks and in the making of liqueurs. Juniper (Ardıç) – Juniper is an evergreen tree bearing fragrant, blackish round berries. These are used in poultry dishes and in marinades for meat. Köfte Spice (Meatball Spice) (Köftebaharı) – This is a spice mix composed of coriander, black pepper, cloves, bay leaves and wild thyme. It is mostly used in köfte, grilled meatballs. Marjoram (Mercanköşk) – A very similar plant to wild thyme, marjoram is used in salads as well as meat and vegetable dishes. It is generally added toward the end of cooking. As it is an aid to digestion, it is especially used in difficult to digest dishes such as wild game. Mint (Nane) – A very much used herb in foods ranging from soups to vegetable dishes. It is added to lamb and mutton, and is also generally used in salads. Musk Plant / Mimulus moschatus (Miskotu) – A species of monkeyflower, this herb is used in oily dishes such as goose, duck and eel, and in stews. It is especially used in the making of certain wines such as vermouth. Nigella (Çörek Otu) – Somtimes referred to as “black sesame” or “onion seed” in the west, it is actually the seed of a plant related to the common garden flower “Love-in-a-mist.” It is sprinkled on çöreks, breads and certain salty cookies and crackers. It may also be used in salads. Nutmeg (Cevz-i Bevva, Muscat Cevizi, Hint Cevizi) – The fruit of a tropical tree, it is ground to powder and used with meat dishes as well and dolma and sarma, and in bechamel sauce and cheese dishes. Because of its bitter taste it is only used in small quantities. It also relieves intestinal distress in children. Parsley (Maydonoz) – Used ın all sorts of salads and foods. As there is an ethereal oil in parsley root, these roots are also sometimes used in certain sauces and broths. Pine Nuts (Çam Fıstığı, Dolma Fıstığı, Dolmalık Fıstık) – These small nuts are extracted from the cones of a species of pine, and used in dolma and aşure. Poppy Seeds (Haşhaş Tohumu) – The seed of the opium poppy plant, it may be blue-black or white. It is used in baking as well as sautéed in oil and added to salads, canapés and appetizers. Red Flake Pepper (Pul Biber) – Obtained by grinding hot red peppers. The Antep and Maraş varieties are especially prized, and are available in oiled and unoiled form. Also available in powdered form. Rosemary (Biberiye) – The narrow, thick needlelike leaves of this bush are used in meat dishes and sauces. In its fresh form, it is also used in the treatment of intestinal and kidney diseases as well as bronchitis and other ailments. Sage (Adaçayı) – A member of the mint family (Lamiaceae), sage is used in the Aegean and Marmara regions to make tea. Saffron (Safran) – Saffron imparts an intense yellow color to foods to which it is added. It has a sharp, slightly bitter flavor. It is used in some soup and seafood soups, in pilafs and in desserts made with milk and rice. It does not dissolve in olive oil. Saffron is also used in a dessert called zerde. It grows in Western Asia and in Northern Anatolia. Salep / Sahlep – Salep/sahlep is the name give to the tubers of orchids in the genera Orchis and Ophyris. The starchy underground tubers grow in pairs; one is the main tuber which gives rise to the current year’s growth. The other, known as the “nurse” (hemşire) or “brother” (kardeş) tuber, will produce next year’s tuber. The salep plants perfer alkaline/lime soils. The roots of those which grow in forested regions are larger, while those in fields are smaller in size. The tubers are cream-colored, and either egg-shaped or forked. The gathered roots are washed in water, then tied to a rope and boiled in either water or milk, then dried in the open air. The dried tubers are beaten into a powder, which is now ready for use. Salep grows chiefly in the Turkey’s western regions. Sesame (Susam) – The oil-bearing seed of a meter-tall plant, which is grown chiefly in India, China and Sudan but also in SE Anatolia. The seed is used in simit and other baked goods, and ground to make tahini. Sumac (Sumak) – This spice is made from the ground berries of a small tree which grows in Southeast Anatolia. It has a sour flavor and is used as a souring agent in kebabs and some salads. A syrup made by boiling the berries is also used in salads. Tarragon (Tarhun) – An herb with a round stem, green on the upper portions and brown near the ground, with long thin and shiny green leaves. Its aromatic leaves are used in certain sauces and meat dishes as well as eggs and salads. Turmeric (Zerdeçal) – Turmeric is a tropical plant in the ginger family (Zingiberaceae) with narrow pointed leaves and yellow flowers. Its dried and ground root is used in meat, fish and egg dishes. It imparts a strong yellow color and is sometimes used in place of saffron. Vanilla (Vanilya) – Originating in Mexico, this spice is extracted from the seed pod of a vining orchid. It is used to add flavor to pastries and confections, cakes, ice cream, compotes and milk puddings. White Pepper (Beyaz Toz Biber) – This is ground, hulled black pepper. It has a more pungent aroma and lighter flavor than black pepper. Wild Thyme (Kekik) – Also known as “Greek oregano,” this herb grows throughout Anatolia, mostly in mountainous regions. It is dried and used in meat dishes, grilled meats, vegetables and fish. It is especially used in soups. 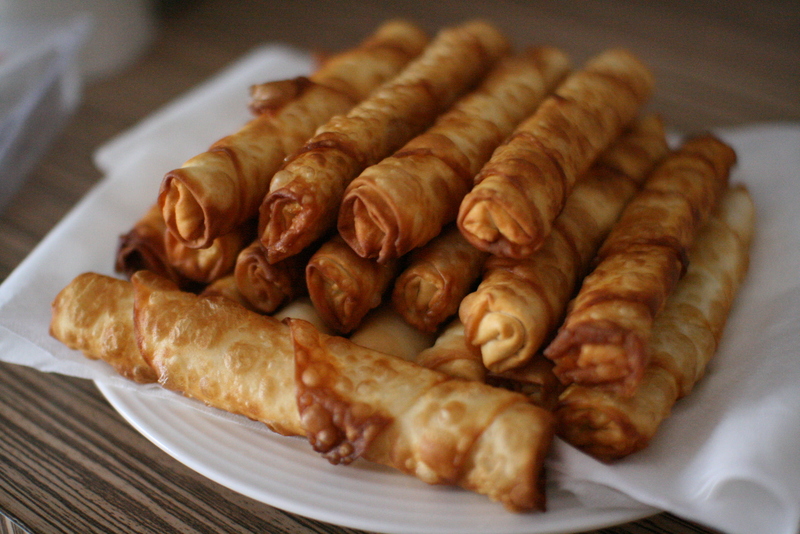 Friday 3rd April 2015 – Sigara borek will at the scene on this day, Feta Cheese and Spinach/Potato. I will be there starting at 7:00am and end at 10:00pm. For the people that know me, selling boreks for me brings back alot of memories. I kick-starter my business by selling these bad boys, so doing again is going be amazing especially in East London as well. 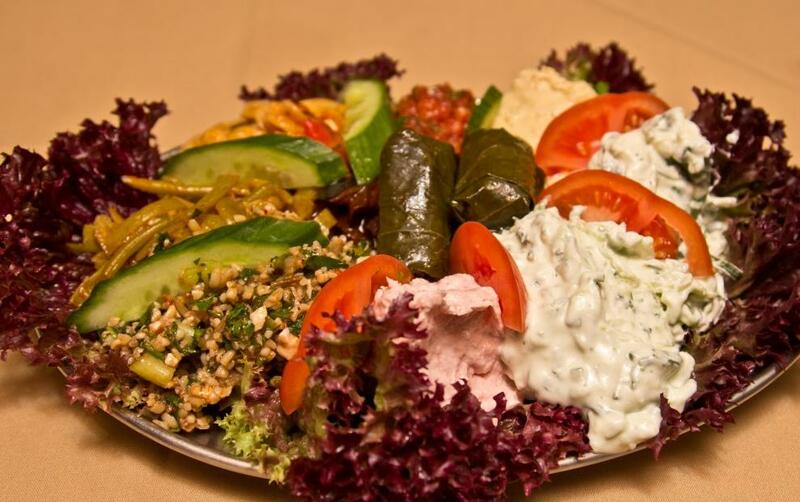 Saturday 4th April 2015 – Cold Meze’s it will be, with a choice of 5 of my favourite. Humus, Cacik, Acili Ezme, Patlican Soslu and Kisir. Starting at the same time as Friday. So if you fancy some Meze and Pitta bread make sure your at Homerton this weekend.